Filmmaker Vishal Bhardwaj began shooting his next directorial titled Chhuriyaan in the month of April, this year. One of the two leading ladies in the film is Sanya Malhotra who impressed the audience with her debut in Aamir Khan starrer Dangal. The other leading lady is TV actress Radhika Madan who rose to fame as Ishani in Ekta Kapoor‘s TV show, Meri Aashiqui Tum Se Hi. Just last month, they wrapped their first schedule with their co-actor Sunil Grover in Rajasthan. 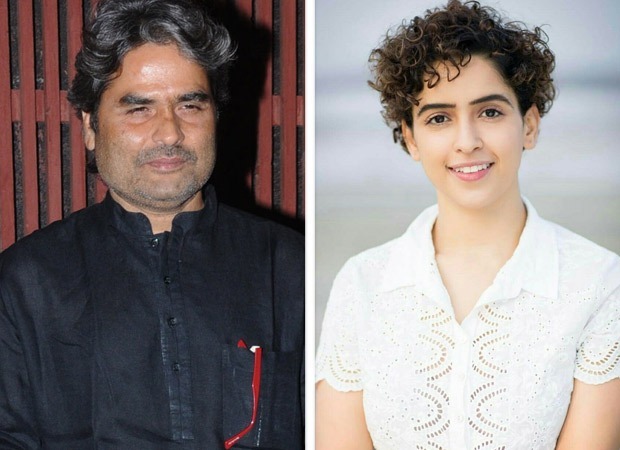 While the second schedule is about to begin, it has been learned that Vishal Bhardwaj’s Chhuriyaan has been renamed Pataakha. Vishal Bhardwaj admitted that the earlier name Chhuriyaan would have confused people as Chhodiyaan or Chhoriyaan. So, they decided to change it to Pataakha which means firecracker and he likes the sound of it. They already completed the first schedule in May in Rajasthan. They have only 12 days of shooting left. Post that, on June 29, they will leave for Mount Abu for final schedule. Pataaka will release on September 28 as he considers it a lucky week. Both his critically acclaimed films Haider and Talvar released on October 2 and the week has been special for Vishal. Vishal Bhardwaj also praised his leading ladies who have been hustling hard during the shoot. He knew Sanya Malhotra was amazing after her Dangal performance but he was surprised by Radhika Madan’s work. He said that they have a great rapport which in turn reflects on screen. They would have fight sequences but later, would check on each other. The film has pre-marriage and post-marriage sequences for which they had to gain 10kgs and shed weight as well. He is delighted to work with new actors who bring a different energy to the set. Speaking about Sunil Grover’s role, Vishal revealed that he is more like an instigator because of whom the characters of Sanya and Radhika are at war at all times. He does not stick to one profession as some days he is a saree seller and other days selling cucumbers outside a school. Pataakha is based on Charan Singh Pathik’s short story, Do Behnein. It will revolve around Sanya Malhotra and Radhika Madan, two sisters named Badki and Chhutki from Rajasthan. It is inspired by sibling rivalry where the two sisters constantly want to cut each other. Aamir Khan to play Osho and Alia Bhatt to be Ma Sheela in Karan Johar’s next?